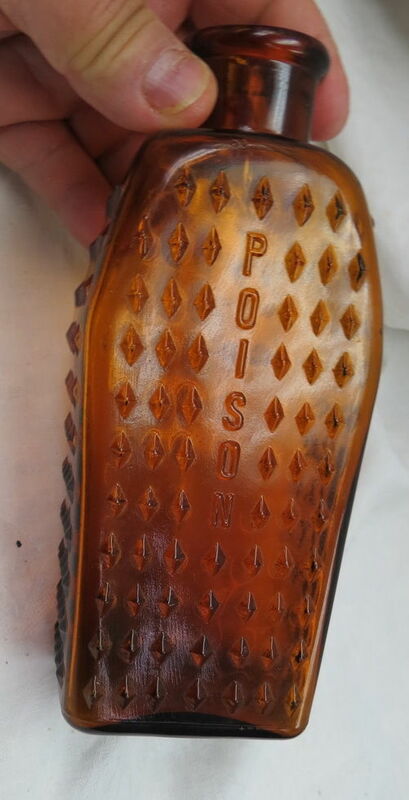 An amber coffin-shaped poison bottle, with overall patterned hobnail decoration, recently fetched $6766.00 on ebay. 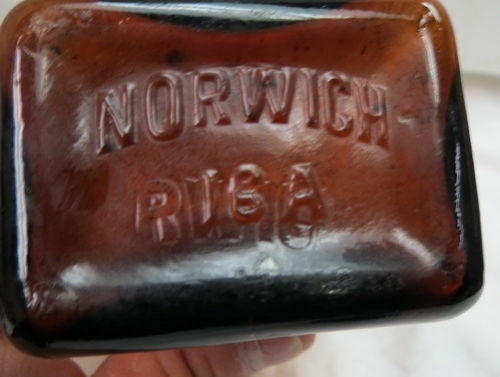 Apparently the seller, who had listed a large number of bottles for auction, was unaware of its value. As is often the case, just three individuals carried the bidding over $1000. I just purchased a bottle like this in my travels. Could you give me any info on it’s value? It still has label around neck and label on front, label on front is not perfect. If it is exactly the same and in perfect condition, then the previous auction result speaks for itself.